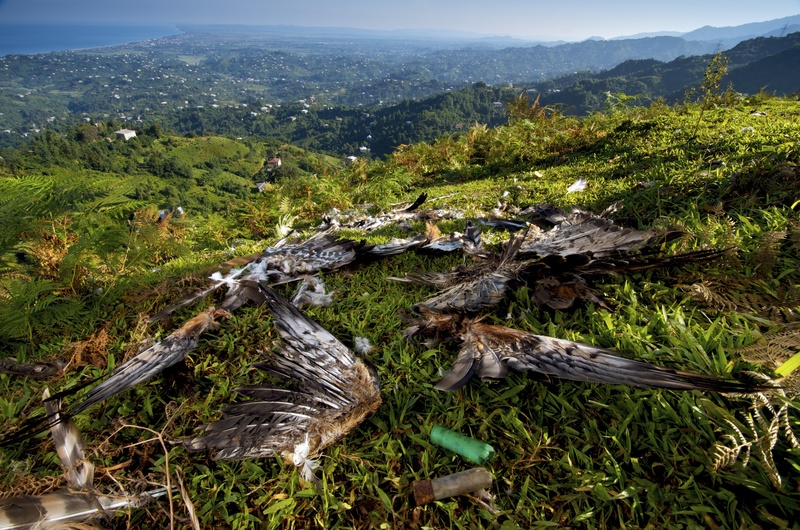 In 2014, Champions of the Flyway helped tackle the illegal killing of birds in Georgia. SPNI and BirdLife International were pleased that the first recipients of funding generated by the Champions of the Flyway Bird Race were Bird Conservation Georgia (BCG) – an NGO that was established through a merger between the Georgia Centre for the Conservation of WildLife (BirdLife in Georgia) and the Batumi Raptor Count (BRC). The conservation action BCG are undertaking will help preserve the miracle of migration at the Batumi Gorge in the Ajara Autonomous Republic, Georgia. The ‘Batumi bottleneck’ in south-west Georgia is an area of the utmost importance for migratory birds. 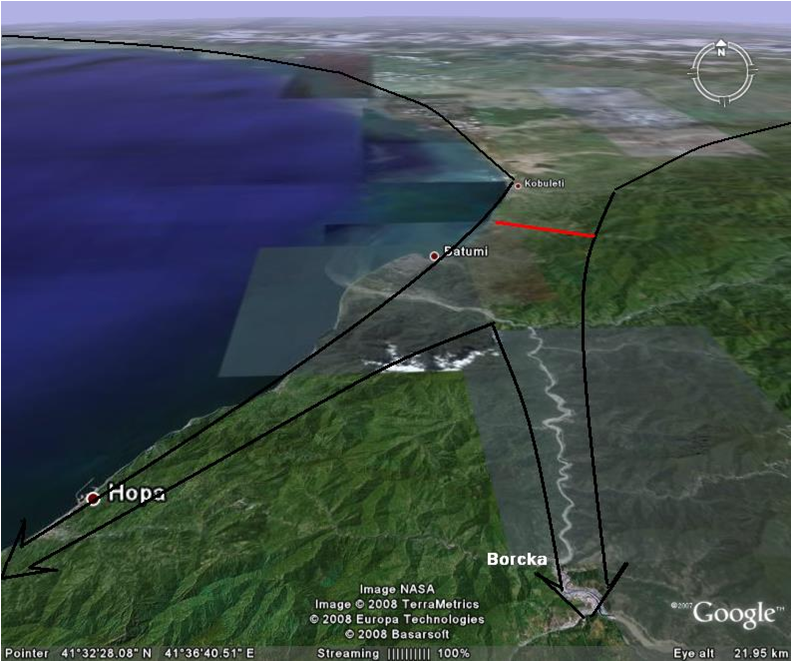 Every autumn a huge concentration of southbound soaring migrants get funneled through the narrow stretch between the Black Sea’s east-coast and the high mountains of the Lesser Caucasus. 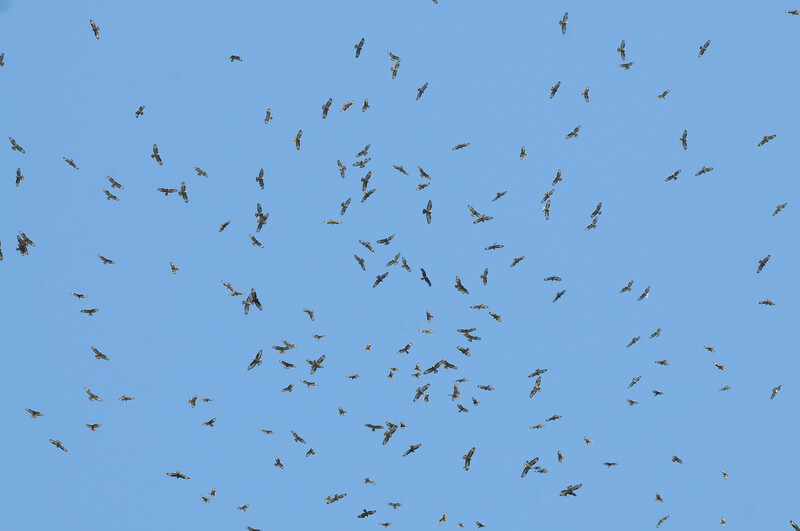 With more than one million migrating raptors of up to 35 species passing through the area at this time, it is simply the greatest bottleneck for migrating birds of prey in all Eurasia. Research has shown that around ten thousand birds of prey fall victim to illegal shooting here each autumn, as Honey and Steppe Buzzards, Montagu’s and Pallid Harriers, Eurasian and Levant Sparrowhawks and various eagles and other raptors pass low through the gorge, unwittingly presenting themselves as easy targets. Bird Conservation Georgia takes a novel approach to tackling the illegal killing here and strives to work with, rather than against, local communities in order to reduce hunting pressure through mutually beneficial actions. Monies raised by the Champions of the Flyway bird race will now go directly towards their innovative on-the-ground conservation activities and help them advance these on several fronts. 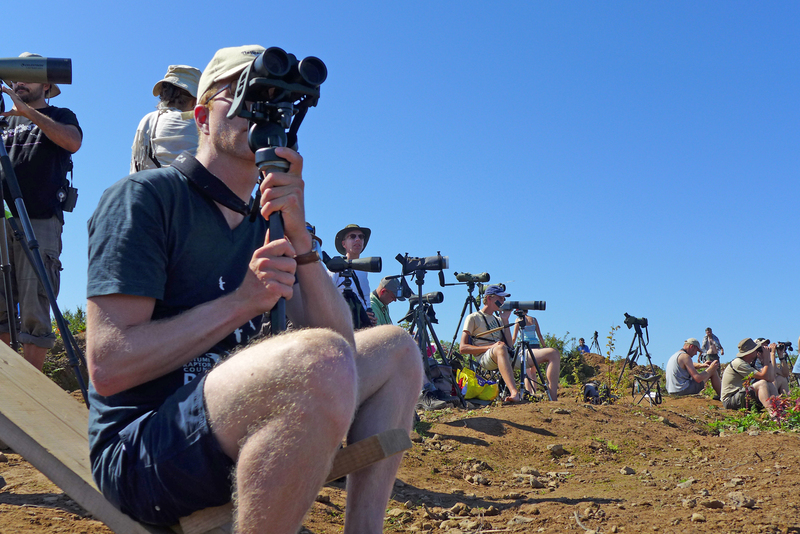 Each year, volunteers are invited to attend Batumi Raptor Camp and participate in BCG’s work recording the extraordinary passage of migrants that takes place there in the spring and autumn. Visitors stay with local families and bring valuable ecotourism revenue to the economy. The many volunteer raptor counters considerably swell the ranks of the professional scientists at Batumi and their ‘Citizen Science’ contribution helps expand the scale of monitoring that is now possible. With support raised through Champions of the Flyway, they will also engage receptive local hunters and falconers as ‘ambassadors for conservation’, to raise awareness among their peers of the consequence of their current actions and the significant ecotourism opportunities that a change of attitude and behaviour presents. 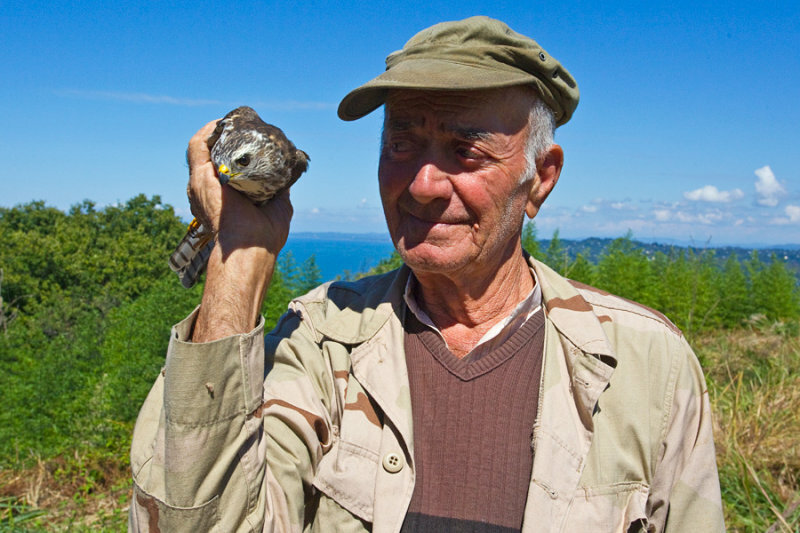 The falconers BCG are engaging with stand side by side with hunters on the high ridges overlooking the Batumi Gorge. The art of falconry is long established in Georgian culture and, being highly skilled, its exponents are revered as ‘wise men of the hills’ by most modern modern hunters toting guns. As such, falconers are ideally placed to ‘act from the inside’ encouraging a reduction in the generally indescrimiate and unsustainable shooting that takes place. With larger falcons such as Peregrines and Sakers hard to come by, local falconers in the area mainly hunt with Eurasian Sparrowhawks. The nets they use to catch them also trap other birds of prey that are unsuitable for training, such as Levant Sparrowhawks and various harriers. In previous years, such birds would just be killed but now, the falconers BCG work with are being trained to ring ‘unwanted’ birds of prey before releasing them back into the wild. Bird Conservation Georgia also engages with schoolchildren and other members of the general public, awakening them to the miracle of migration, their rich natural heritage and the scale and importance of the incredible migration of raptors that is passing overhead. 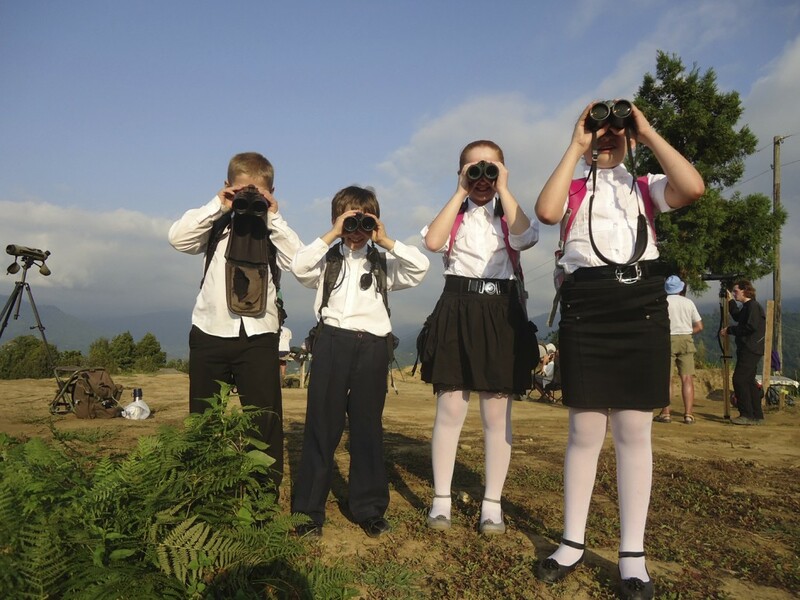 Batumi Raptor Count provides an ideal opportunity for children to participate in field trips and BCG also engages more widely through regular school visits and workshops held with older members of the local community. 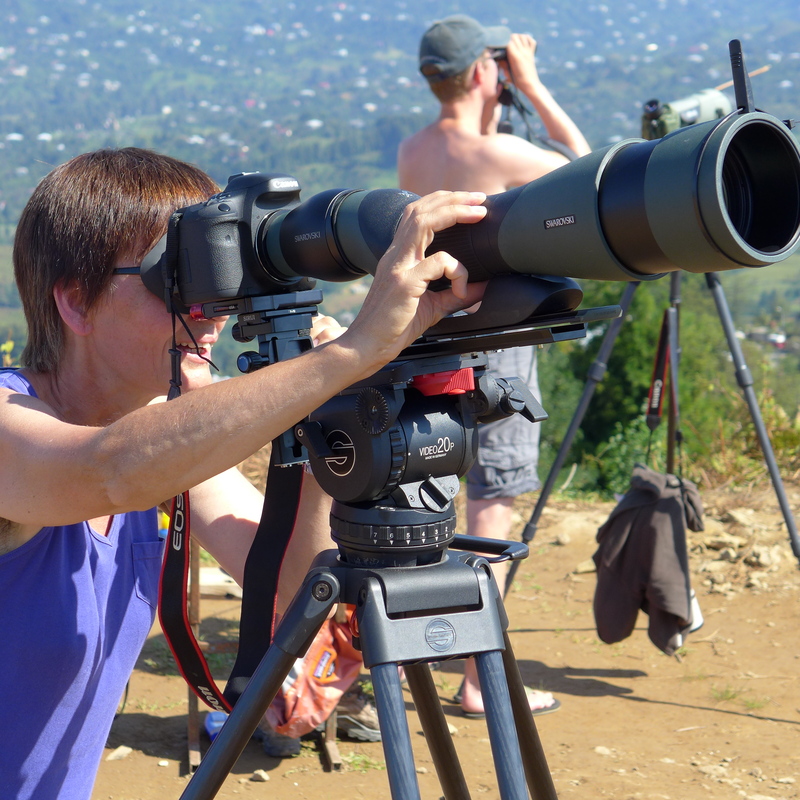 The influx of eco-tourism that Batumi Raptor Count brings to the area is now eagerly awaited by locals. Continued international publicity of the events, that stimulates more visitors, is another important part of Bird Conservation Georgia’s plans. If you’d like to take part in Batumi Raptor Count you can find more details here.